Volunteers play a vital role in the ongoing growth and development of those in the 4‑H Youth Development program. 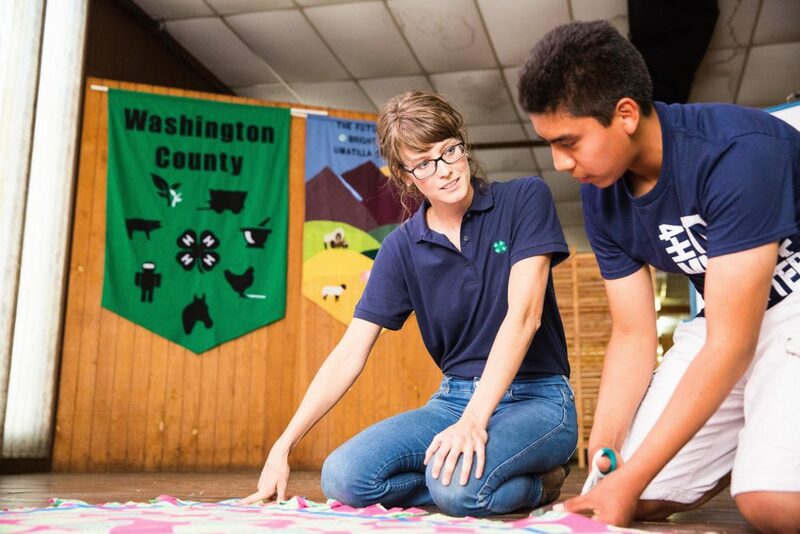 You are more than just a volunteer in 4-H – you are instrumental in inspiring the next generation. If you are interested in leading a project-based club, you can share your expertise to provide young people with learning opportunities as varied as rocketry, public speaking, photography, cooking, community service, and so much more. Using research-based 4-H project curriculum, you will have the resources to learn as you teach. Either way, you will have the support you need from your local 4-H office. Interested in joining 4-H with your children? Families involved in 4-H report that they work better together by scheduling time to focus on developing communication skills, setting goals and experiencing family-wide learning opportunities. With a variety of flexible options, you can decide your level of involvement, based on your skills and time available. The following are specific positions available. Interested in learning more? Contact J. Scott Enroughty, New Hanover County 4-H Agent, at scott_enroughty@ncsu.edu.